This week we’ve gotten a lot of nice comments and congratulations relating to our first contest. And some of you have asked why you haven’t seen many updates to the Portal. We wanted to say thank you for the kind emails first of all. 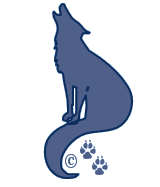 We’re thrilled that our humble little blog has been received so well by Spiral fans. As for our updates…no we didn’t become official and then give up sharing information and tidbits. Seems a wee bit of a virus has spread around our ships and knocked everyone off their feet a bit. Thankfully we’re all getting better and slowly finding some energy again to set out in the spiral for more adventures. 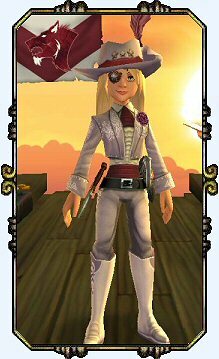 Captain Victoria Bristol has become a level 19 Pirate and is questing in Cool Ranch. Captain Aedan Hawkins has become a level 12 Pirate and is questing in Monquista. He also wrote his first Captain’s log this past week. We’re pretty proud of him for that. He did a good job. Garrett Hawkins has yet to really get moving on his questing. But he keeps talking about it in the Tavern out on Skull Island. So stay tuned. We’ll all be feeling back up to par and be sharing more news and adventures soon enough. No Cody, We are indeed an official blog. Our post means… We’re not a site who became official and then stopped updating our blog. We feel very honored to be an Official Pirate Blog and with that comes some responsibility to maintain a level of content. So we wanted to let everyone know, we haven’t faded away; we have simply been a bit too sick to play.